Scott joined QuadReal in November 2016. As Executive Vice President, Commercial, Western Canada, his priorities are focused on the company’s commercial property portfolio in Western Canada, including leasing, real estate management and growth through supporting development and investment initiatives. He was formerly Senior Vice President of GWL Realty Advisors where he was responsible for overall performance of the commercial property portfolio in the Prairies. Previously, he held senior positions with Trizec Office Properties. 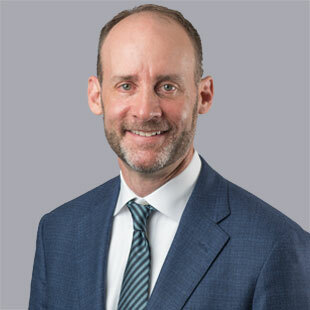 Scott holds a Bachelor of Arts degree in Economics from the University of Alberta, and an MBA from The Rotman School of Management at The University of Toronto. He currently serves on the Board of Directors of the Calgary Chapter of NAIOP, the Corporate Board of NAIOP, Business Advisory Board of the Salvation Army, and is Chair of the Salvation Army Hope in the City Luncheon. Scott is committed to a strong team approach and creating a great environment for our employees and those in the communities within which we live and work.